If you remember, Mabel was a fabulous Christmas gift from a lovely lovely friend. She's a refurbished Louet S10....and clearly has a lot of history! Now I'm being perfectly honest here....Mabel and I have fallen out of love of numerous occasions since Christmas. Lots and lots of REALLY bad words have been uttered in sheer frustration. 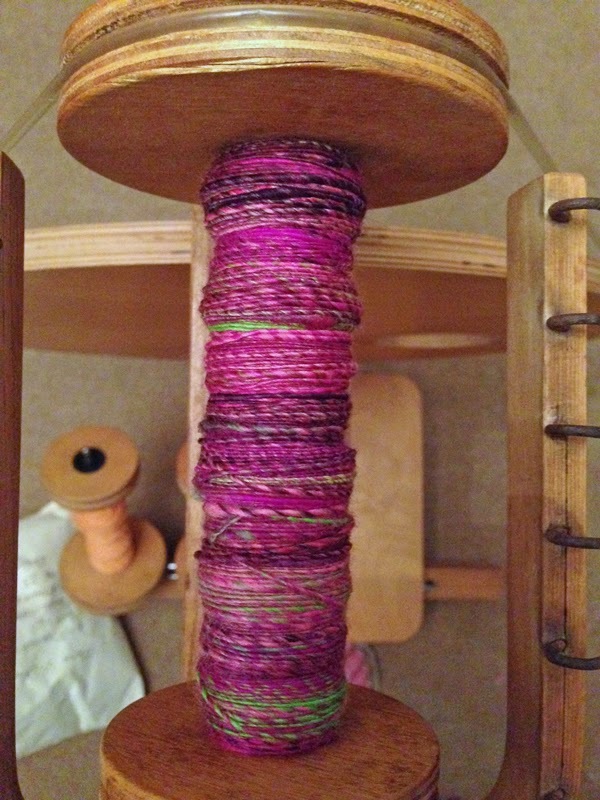 I think it's fair to say I'm not a natural when it comes to this spinning malarkey! For a kick off....I have no co-ordination whatsoever!!! I still struggle to catch a ball. Seriously. But....I was totally determined to master spinning. 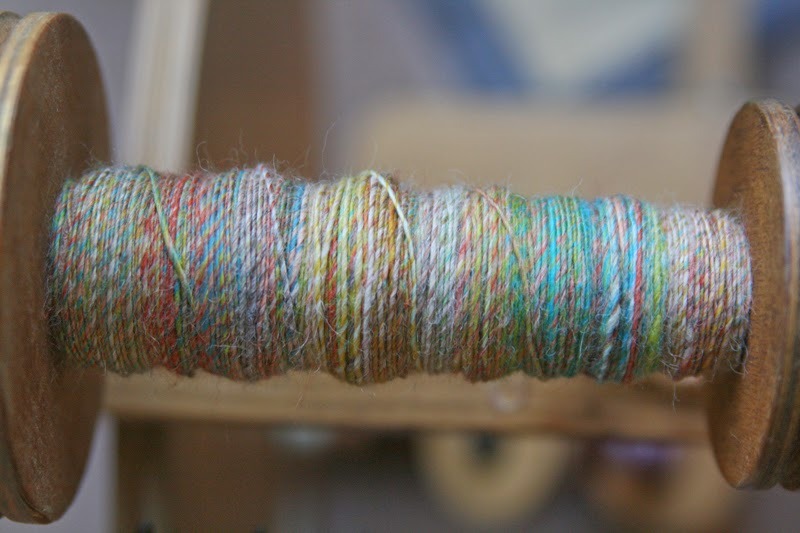 I started with some very coarse and scratchy mountain sheep fibres. Easy to control so I could concentrate on drafting and treadling at the same time. Not so worried about the finished result at this stage. Getting the co-ordination going and controlling the wheel was my main goal. 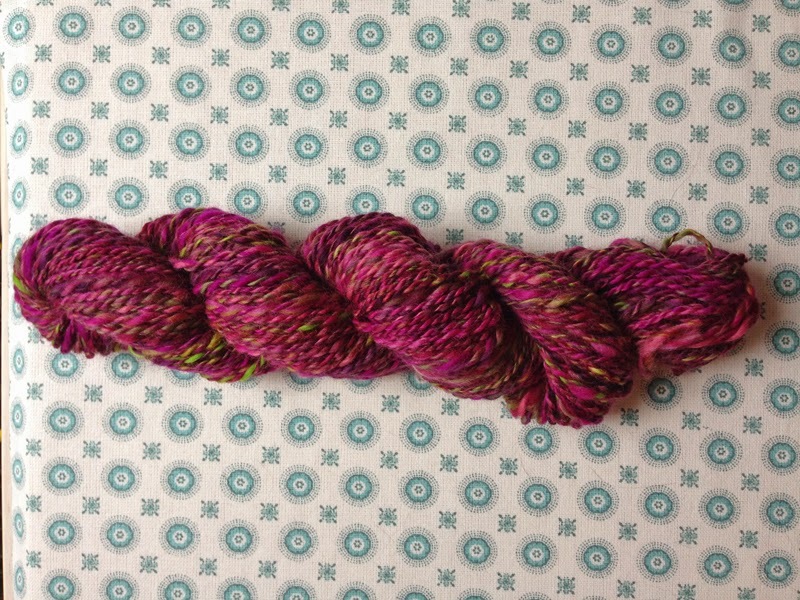 This is my first go at plying yarn. Not exactly the most consistent of specimens....but hey! I made it!!! Plenty time to work on technique and finish later. 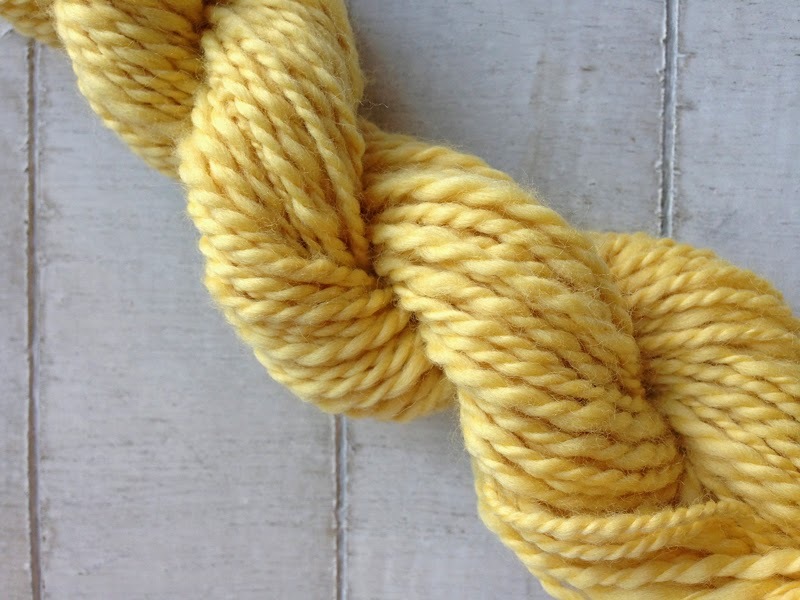 Next came some merino. Wow! This isn't so easy to spin. There were plenty bad words uttered and I admit to a couple of MAJOR tantrums. Its pretty thick and thin but definitely getting better. *almost* useable!!! Maybe I'm finally getting hang of it???? Erm.....maybe not! 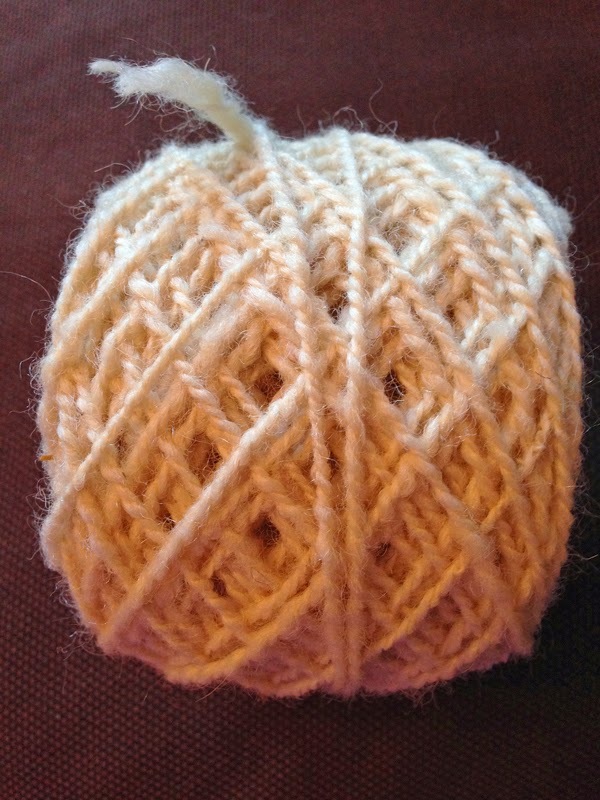 More merino, but this time squished into a tantrum fuelled ball. Damn you merino and Mabel!!!! What's this??? 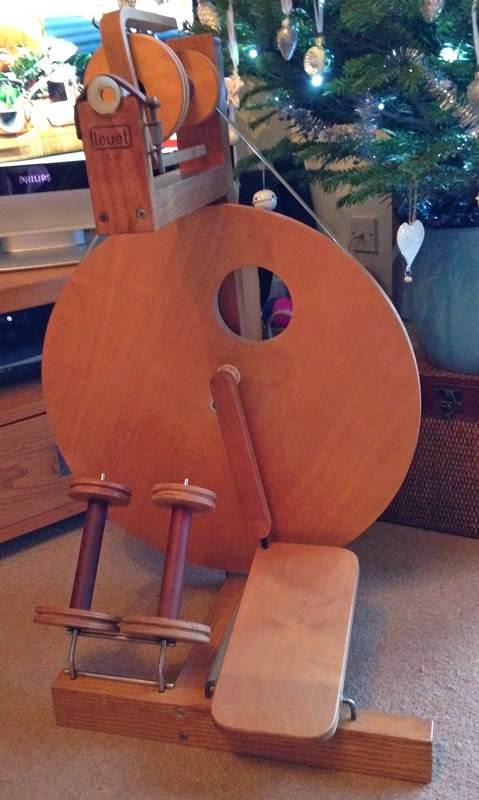 Is that a bobbin full of tantrum free singles I see? Yup...me and Mabel are finally bonding. I'm actually relaxing when I spin rather than being a mass of tension and hand cramps. Check this out!!! Still a little thick and thin but much much better. 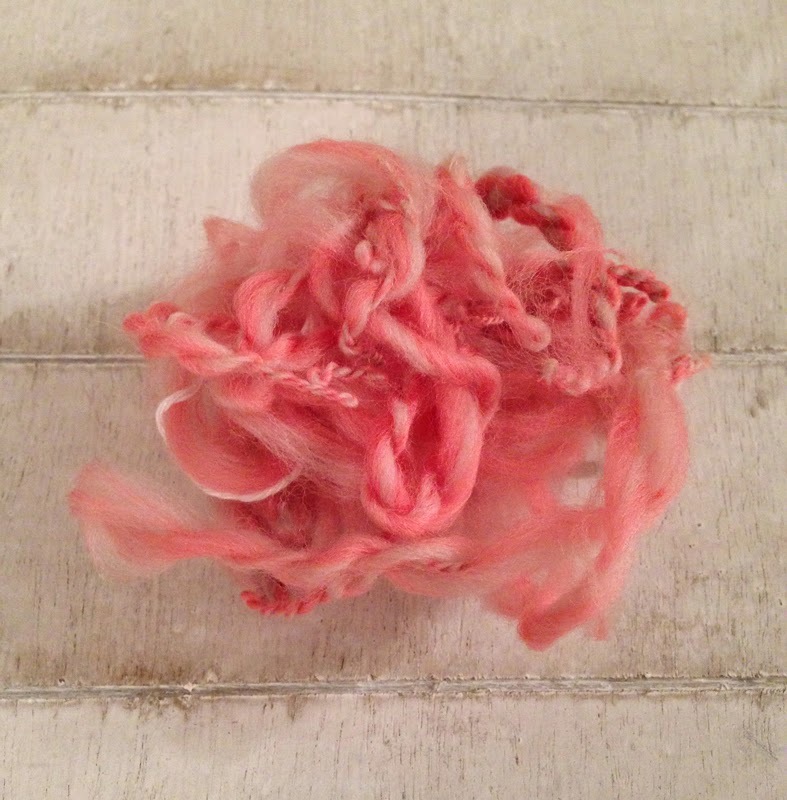 A BFL, Shetland, Merino and Baby Alpaca blend. And boy is it soft and snuggly!!!! I got it from Spin City. It's beautifully prepared and just check out those colours! This is where I'm up to. 2 bobbins ready to ply. I've ran out of bobbins. I've ordered 2 more. 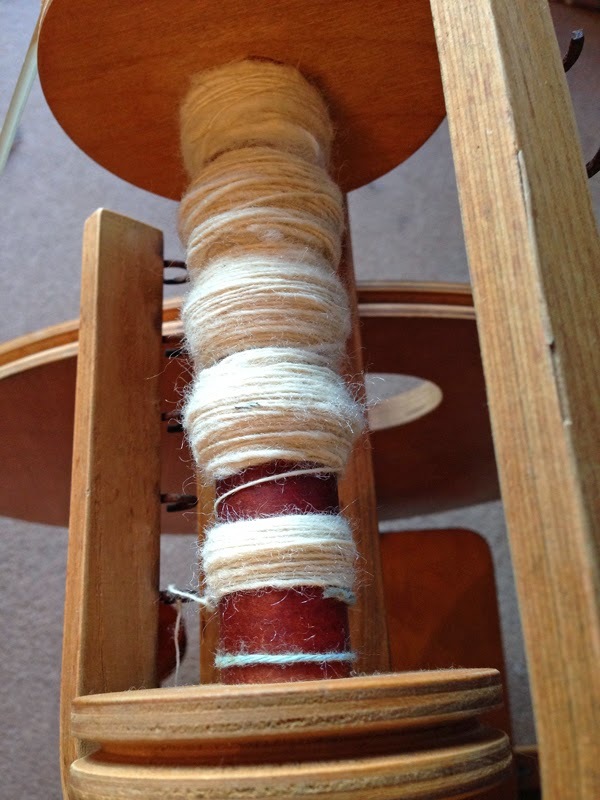 So the plying will have to wait a bit. How frustrating!!! But how weird! I'm now frustrated because I WANT to spin. I'm finding it wonderfully relaxing. I find myself going into a trancelike state when I'm treadling. Is this normal? Hopefully I'll have some plyed yarn to show you soon. Ahh, so glad it's all finally coming together. 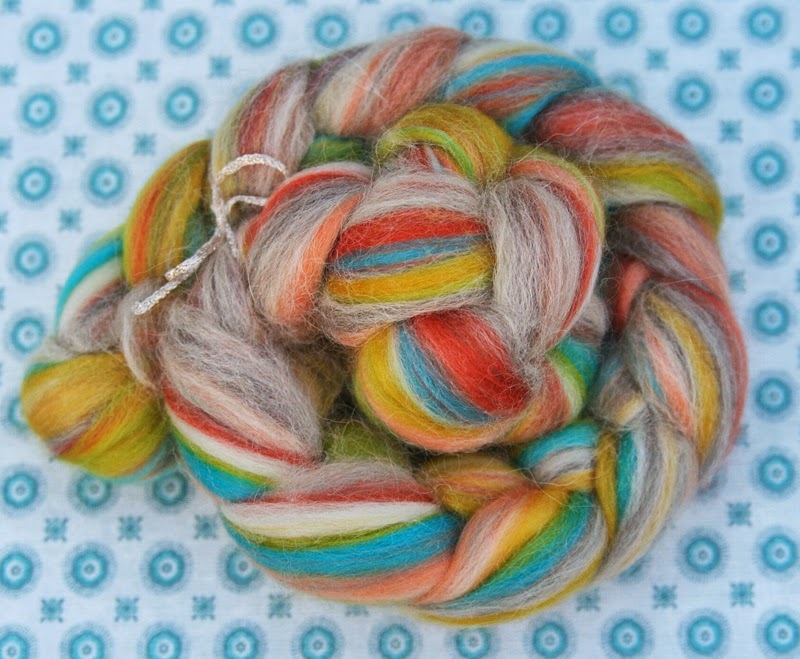 Love, love LOVE your latest fiber purchase, can't wait to see it plyed! I find spinning the most trance inducing hobby I've ever found. The gentle rhythm of the twist and the draft is hypnotising. I'm so pleased the SAL is helping you find that happy place.